Went To Buy A Saab Today, You Wont Believe What Happened Next!!!! I was having a random conversation about all the brands GM killed in the last decade with a friend and decided I wanted to test drive an older Saab. Found a '04 manual Aero that looks pretty decent about an hour from the house, so I spent the first half of my day off today to go up there. Called to make sure they were open and everything. Dressed nice enough to be taken seriously (for a 20 year old). I looked at the map for a good road to drive on near the dealership. Then I left my house. Got to the dealership in about 45 minutes, and took a few minutes to look around. 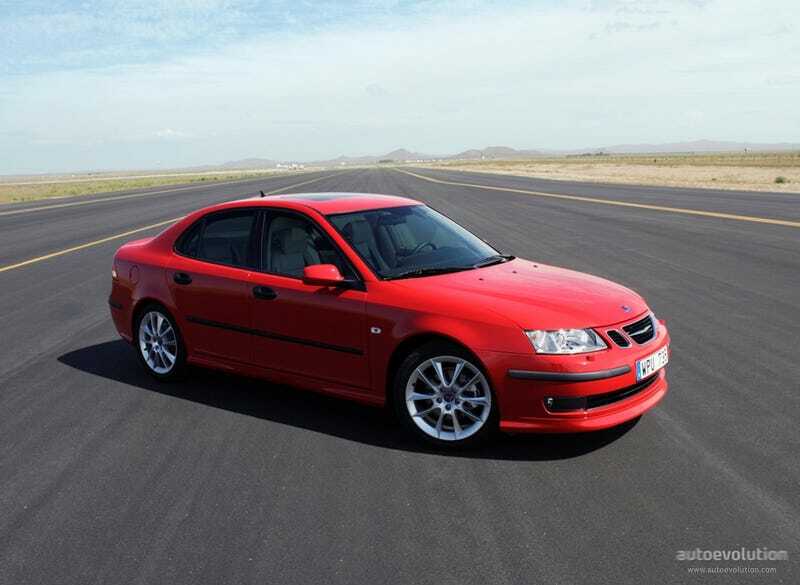 The Saab I saw online was unlocked so I checked it out alone. $3,995 on the tag, and I could tell why. Various amounts of wear-and-tear on the interior, which is why there hadn't been any photos of the inside online. Whatever, it's cheap. If I like the drive I can make it work, pay off my current loan payment with a trade in, and be payment free until the car dies. So I went to find a salesman. Found one. Just the one. There was only one. One guy. Introduced myself, told him I wanted to test drive the Saab, and he asked me which one. I said the Aero. He said they had two. I specified the one at the end of the lot I had been looking at. Turns out the other one was an SUV, so not an Aero, right? Anyway.. He takes 10 minutes and comes back and sort of ignores me as he goes to the receptionist. I ask him what's going on and he says they don't have the keys to that car. He'll be right back, he's going to look again. Right. Good. Nope, no keys. Let's go check the car and see if they're in there. Sure, because it was unlocked for me to explore freely, so why not leave the keys in it? It's not like you would want to sell it or anything. We get out the car, and he takes a good minute to rummage through it. Nope, no keys. In the mean time I'm walking around the car when I notice it. The icing on the cake. The cherry top. "You realize, sir, the car has a flat tire?" "Oh, yea, we know. We're working on it." Sooooo we were going to test drive it with a flat on the rear? Okay. "I'll be back next week, I have time off." "Alright, thanks for stopping by!" Sorry for the clickbait title. It's a joke.